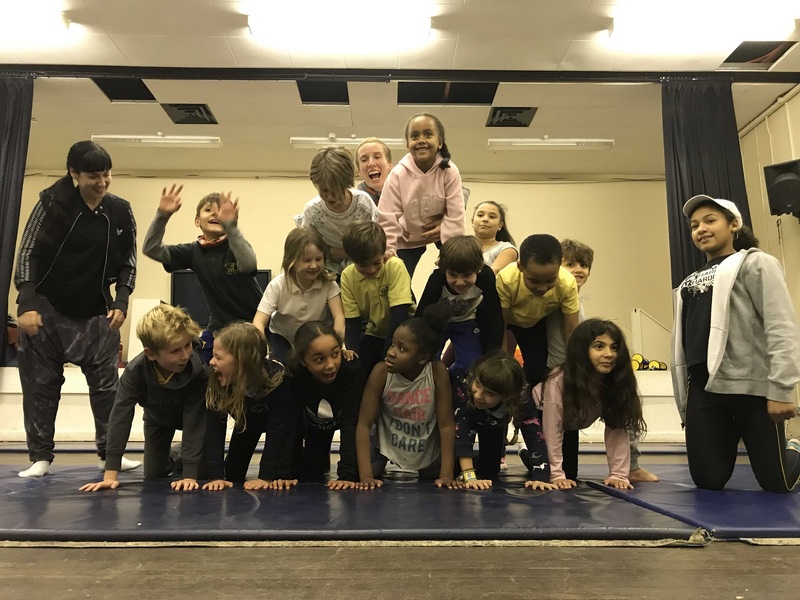 Mimbre offers classes for young people in Hackney to learn acrobatics and street dance in a safe, fun and supportive environment with professional artists. Priority is given to young people from social housing or from low-income families but paid for places will be available as well. Please note that some children might be moved to a different section at the discretion of our artistic director (based on age and level). Decision will be discussed with parents/guardians before hand. Tuesday classes have a 3-tier fee system: Milton Garden residents – free; Low-income families £30 per term; Full price £80 per term (10 classes). Please don’t hesitate to get in touch for more information or clarification. If you are interested in joining our programme then please email education@mimbre.co.uk. Also, get in touch if you would like to join our mailing list and be sent more information about our participation work. We prioritise places for young people living in social housing, disabled young people and those who are most in need of our classes. If you have any special requirements then please let us know. Our Project Assistants work with the younger groups, supporting the Education Officer and the teachers with the running of the sessions. Get in touch to know more!